Do clothes keep coming damp and hot out of your dryer? Is there a funny smell in the laundry room? You need dryer duct cleaning service. These are only a few simple signs indicating that the vents of your dryer are clogged with lint. Your dryer is suffocating and you are running the risk of fires. Don't take such chances! 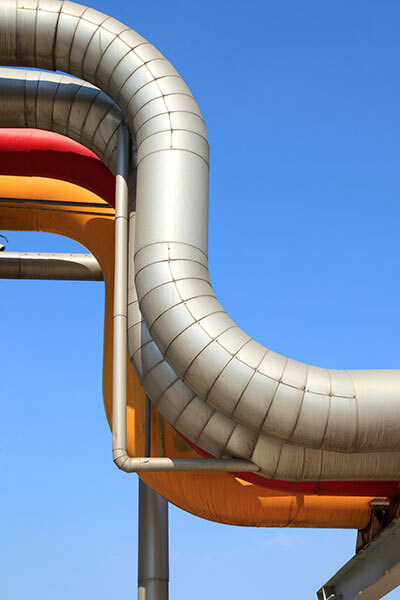 Call “Air Duct Cleaning in Benicia” to clean your dryer vents thoroughly and professionally. 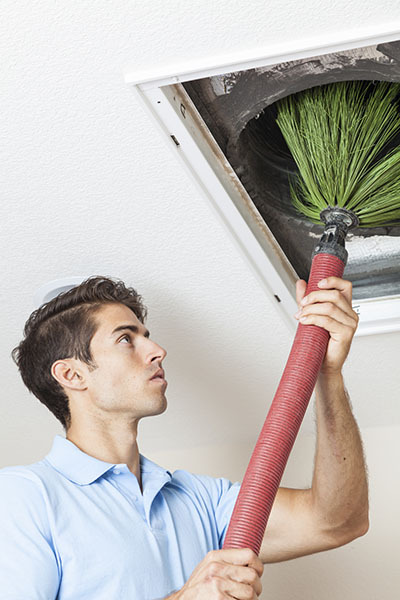 Our well-trained residential air duct cleaners are what you need when dryer ducts are clogged. Our team moves fast, is properly equipped and knows how to assist you. The vans of our air duct cleaning company are always equipped with the right vacuums, brushes and all tools needed for the removal of debris and that's why our team guarantees immediate service. Long or short in length, the vents are the throats of your dryer allowing air to move out and the appliance to breathe properly. 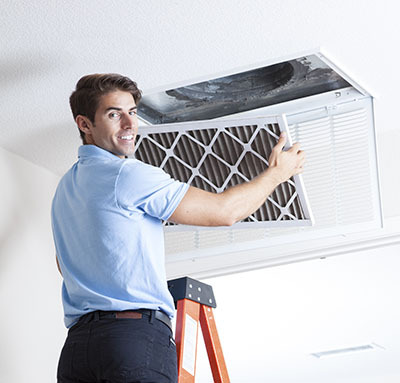 Once the vent is filled with lint from the clothes and dust accumulated from the external environment, the ducts start clogging and air cannot circulate well. Since clothes are dried with hot air circulating in the dryer, the appliance will start heating up and this might lead to fires. 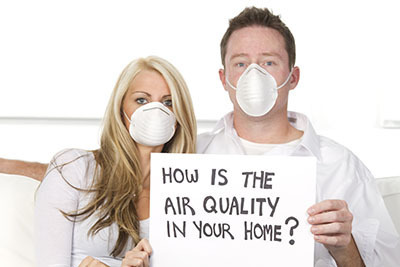 Our company prevents such accidents by offering professional air vent cleaning service in timely fashion. 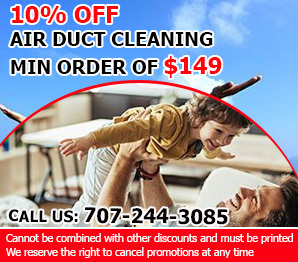 The service is performed as soon as possible and with the proper tools so that lint & dust will be effectively removed from the ducts.Our clients can be sure that everyone at our company is aware of the right dryer vent air system cleaning procedure. Our experts are familiar with the best techniques and use the most reliable tools for full debris and lint removal. We clean dryer ducts at both external and internal parts and have the means to clean the longest ducts. Our vacuum helps us remove the accumulated dirt and our technicians clean the walls of the vents with professional brushes. The expertise of our cleaners is guaranteed and so is their thoroughness. With clean dryer ducts, you don't have to worry about safety issues anymore, bad odors will go away and the clothes will dry to your satisfaction. Your dryer needs great attention as far as vent services are concerned so that it will function properly and won't cause problems. Cleaning a dryer vent is a job which requires proper equipment and the expertise of our professionals. If you need our assistance, rest assured that our experts will help you any time.